This A9X set a new price record. 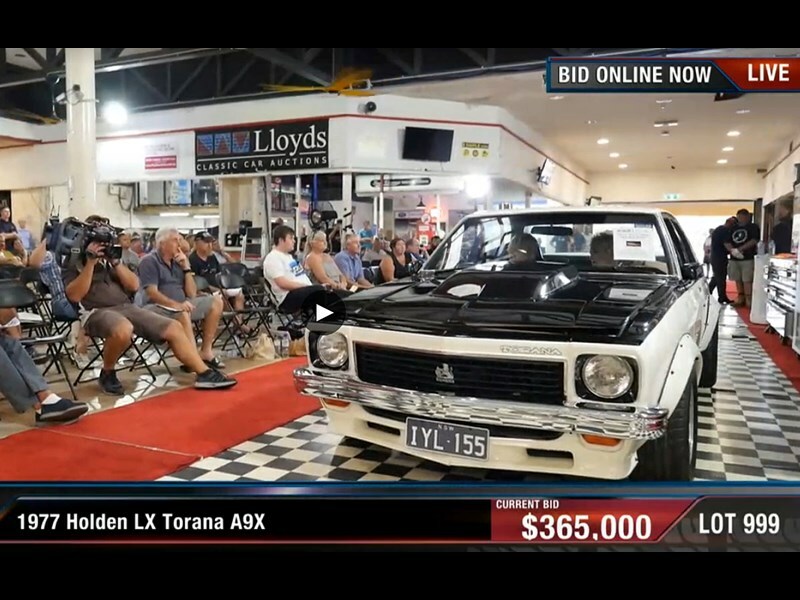 Lloyds in Queensland yesterday saw a new record set for a Torana road car, with the first production number Torana A9X, a sedan that was said to do time as a media road test car, went for a stunning $365,000. Interest in tribute cars looked solid, with a Ford XY GT replica attracting a top bid of $85,000, while a 1955 Porsche Speedster replica sold for $31,500.